Crowds turned out in record numbers for the 19th annual ESSENCE Festival in New Orleans. A-list artists including Beyoncé, LL Cool J, Jill Scott, Tamia, Janelle Monáe, and others packed venues throughout The Big Easy. 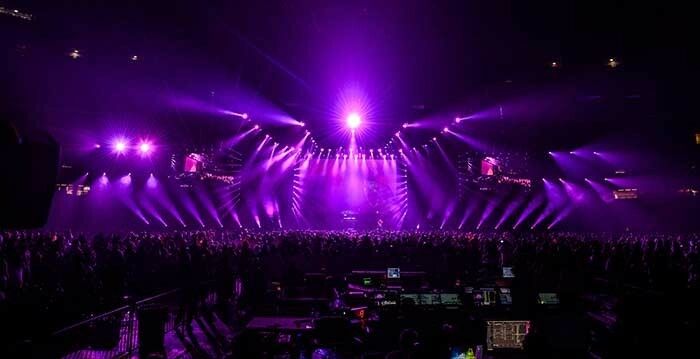 The festival was staged by ESSENCE Communications and produced by Solomon Group, a New Orleans-based entertainment production company, which supplied various equipment including Clay Paky Sharpy lighting fixtures to eight stages across town. “With great some support from VER, Solomon Group supplied gear to several stages, including five in the Mercedes-Benz Superdome, two in the Ernest N. Morial Convention Center and one in Woldenberg Park,” says Matt Foucheaux, senior production manager at Solomon Group. “We used a total of four grandMA2s” says Matt Foucheaux. “The Main Stage at the Superdome had two grandMA2 full-size units accompanied with two fader wings. Both the Center Stage and the Empowerment Experience Stage in the Convention Center had grandMA2 Lights.